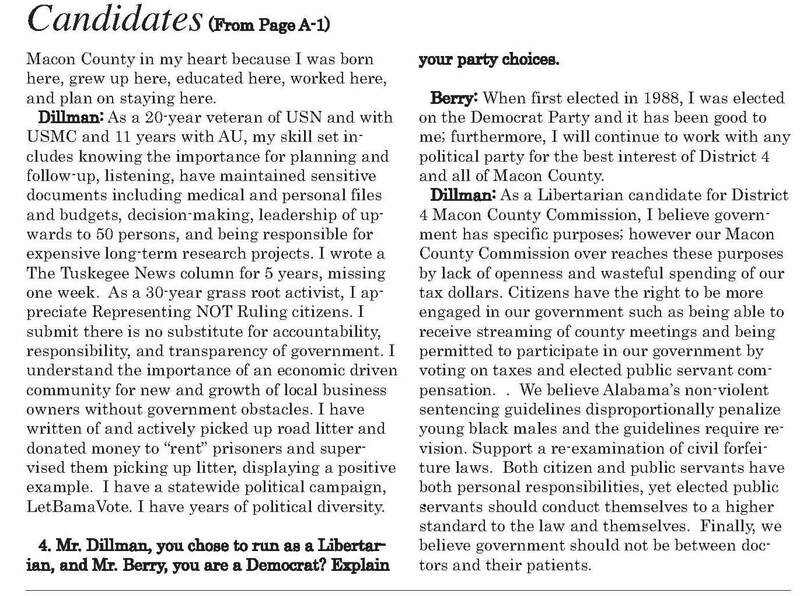 These questions and their answers appeared in the October 25, 2018 edition of The Tuskegee News. 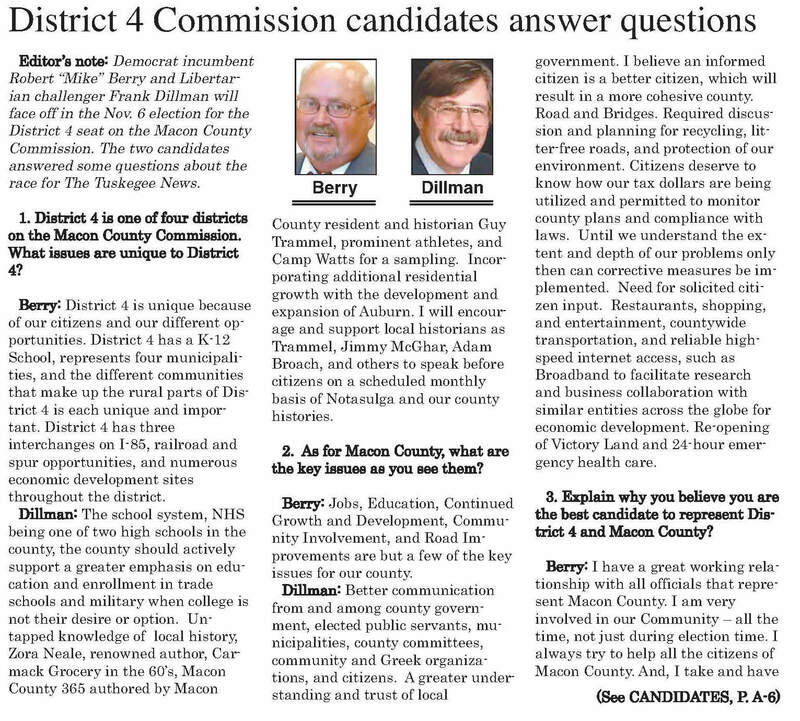 I believe in governtmental transparency and openness and thereby choose to inform the voters with hopes of earning their votes. however providing the knowledge to render the vote of your choice..